I pray that I may be blessed every step of my path this day by the great God of light. May your sun shine upon me; as the moon moves the tide, may your Spirit move my emotions with every grace and magic; may my heart sing with voice of your angels and my hearth be warm; and may this and every blessed day You have given me be filled with joy. Now when Herod was dead, behold, an angel of the Lord appeared in a dream to Joseph in Egypt, saying, "Arise, take the young Child and His mother, and go to the land of Israel, for those who sought the young Child's life are dead." 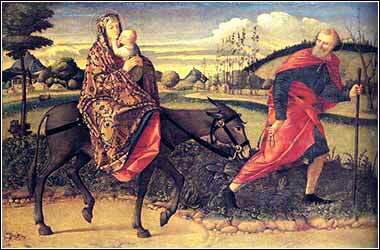 Then he arose, took the young Child and His mother, and came into the land of Israel. After Herod the Great died, he divided his kingdom into three parts, each ruled by one of his surviving sons. Unfortunately for us, all of them were also called "Herod". In fact, there were a number of other rulers with the name "Herod"; if you ever want to get thoroughly confused, try to figure them all out. There was even a famous woman named "Herodias", who divorced Herod Phillip I and married Herod Antipas. 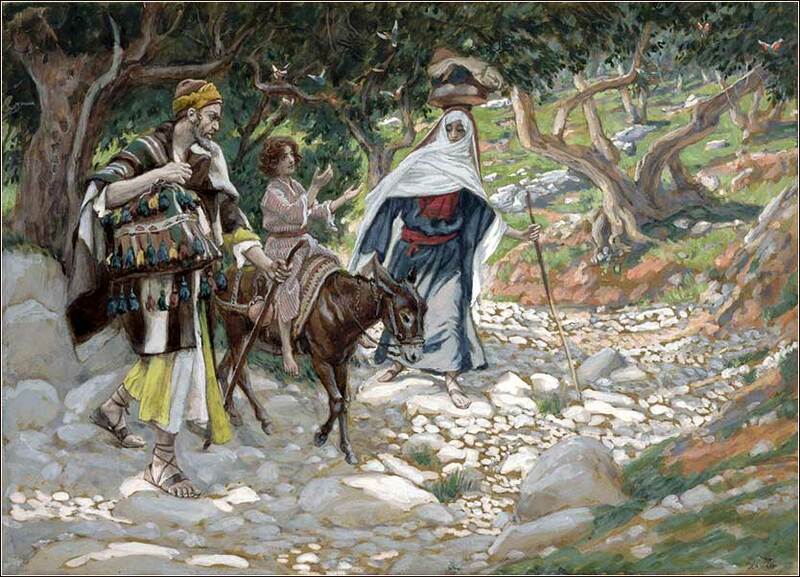 Thus, instead of returning to Judea, Joseph traveled to Nazareth, a town in Galilee. This area was ruled by another of Herod the Great's sons, Herod Antipas. He was not called a king, but a "tetrarch", which means "one-quarter of a king". Joseph chose wisely, because as bad as Herod Antipas was, he was the best of the bunch. Herod Antipas is the one who eventually would allow his wife's daughter, Salome, to demand the head of John the Baptist on a silver platter. Ironically, he was also the Herod who eventually arrested Christ and presided over His trial. At any rate, this is how Jesus came to be born in Bethlehem, a town in Judea, but grew up in Nazareth, a town in Galilee (which was considered a separate country under Roman rule). This all fit in perfectly with the messianic prophesies of the Old Testament, which predicted the birth of the Messiah in Bethlehem, but also said that the Messiah would be a Nazarene.